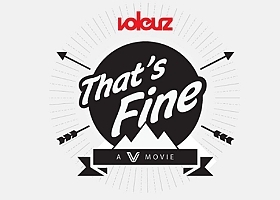 Voleurz' That’s Fine documents the antics and exploits of the infamous Voleurz Family, comprised of skiers, snowboarders and skateboarders, making the multi-sport offering one of the most well-rounded and diverse films in the action sports world. Highlights include snowboarder Justin VDP slaying pillow lines in the Whistler backcountry, freeskier KC Deane's jaw-dropping big mountain segment, a raucous urban trip to Ontario with Scott Sych & Matt Brindisi, the unique style of one of skiing's most imaginative individuals, Max Hill (along with the highly entertaining return of Max Hill vs The Intern), skateboarding the streets of Vancouver with Tyler Holm, and of course, the hilarious and not-to-be-missed Winter Volympics. As voted by fans, That’s Fine won Best Web Video of 2011 on ESPN.